I feel extremely happy and proud to invite you to seek admission to the National University of Science & Technology. The National University is a manifestation of our quest for social progress in the Sultanate of Oman. I salute His Majesty Sultan Qaboos bin Said for his visionary leadership that has taken the country to the league of most admired nations in the world. 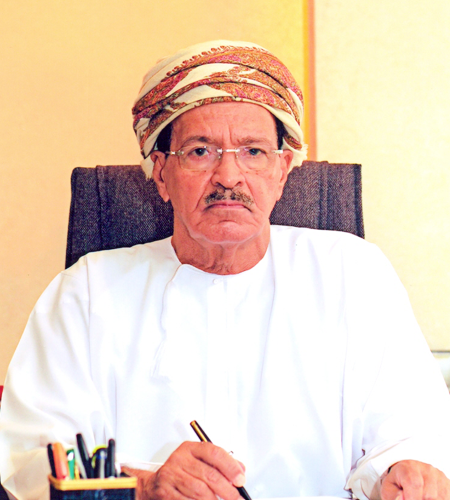 The National University has inherited the legacy of two highly successful professional colleges in Oman, namely, the erstwhile Caledonian College of Engineering and the Oman Medical College. Both these Colleges have established a reputation for delivering high-quality education and training to aspiring engineering, medicine and pharmacy students. Graduates from these institutions have made significant contributions towards augmenting the Omani presence in the Healthcare and Engineering sectors in the Sultanate of Oman. I am pleased to assure all that the new Vice-Chancellor with his capable team will steer the National University to greater glory while continuing with the rich traditions of the former colleges. Fresh students entering the portals of National University will experience an excellent ambiance which will stimulate their creative minds and help developing a well-rounded personality. I urge all students aspiring to join the National University and their parents to visit the respective campus and take an informed decision that will have far-reaching impact on your future career. I welcome all new students to the National University.